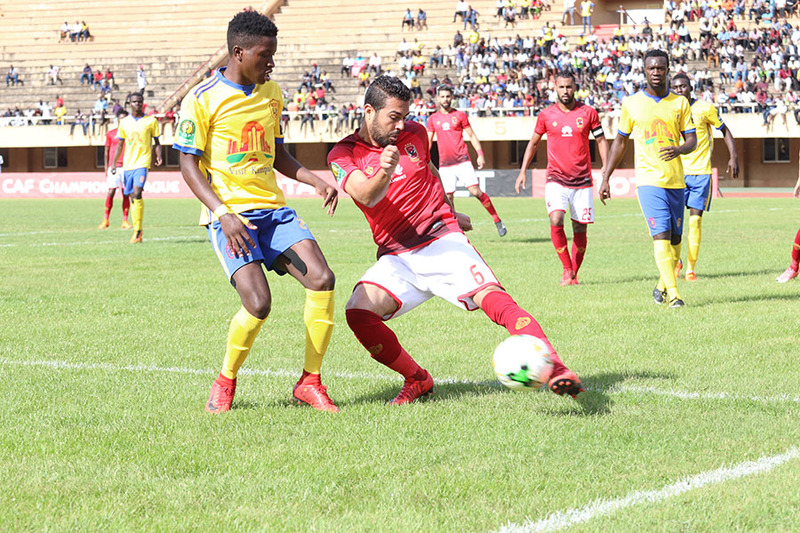 Following a woeful first half performance, Ugandan representatives KCCA FC learnt from their mistakes to put up a ‘state of the art’ performance that saw them beat record champions and African giants Al Ahly from Egypt on Tuesday at Namboole. The visitors will count themselves unlucky after putting up a great performance in the first half that saw them get a penalty after Habib Kavuma handled the ball but goalkeeper Charles Lukwago heroics saved the day. 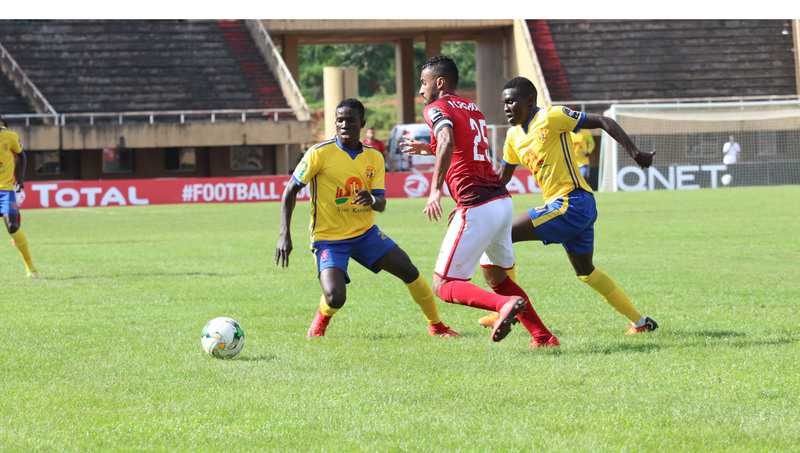 An Egyptian player tries to beat KCCA FC’s Julius Poloto and Muhammad Shaban at Namboole on Tuesday. 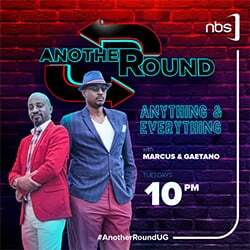 The Egyptians piled more pressure on their hosts but Lukwago continued to show he is from another planet, other than earth with a number of interceptions that could gift him a man of the match award for his fine display. Meanwhile, after recess, things became totally different for both teams as KCCA started dominating play whereas the visitors seemed to have played for only 45 minutes. 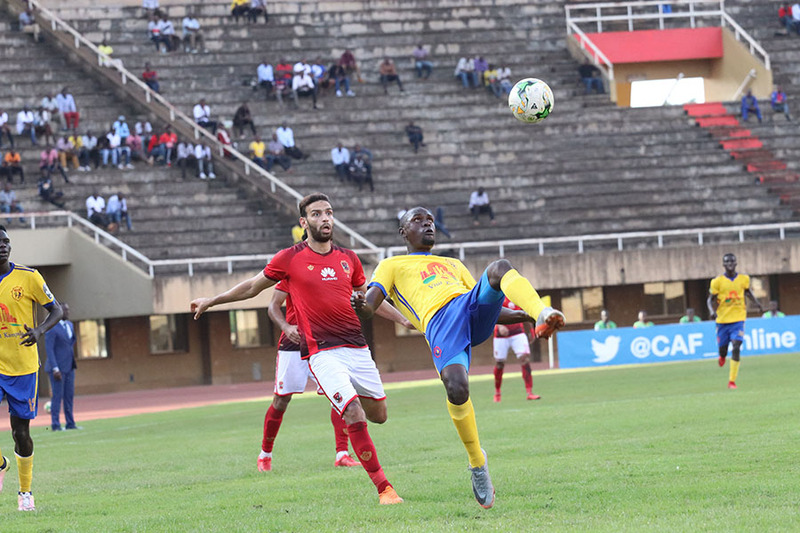 Youngster Allan Okello, Muhammad Shaban, Julius Poloto and Sadam Juma became a menace for the Egyptians not until the 73rd minute when Juma sent a belter that went past the visitors’ custodian to send the fans into frenzy at Namboole. 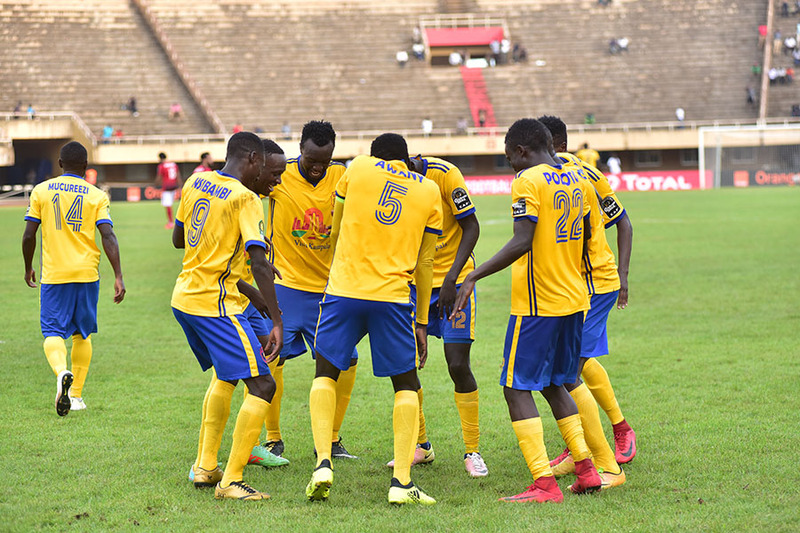 The Kasasiro boys continued piling pressure on the visitors until the 86th minute when second half substitute Derrick Nsibambi was brought down by Amro Elsoulia in the 18 yard box for the centre referee to award a penalty that was well taken by skipper Timothy Awany to double the lead for KCCA. Speaking shortly after the game, Al Ahly coach Hossam El Badry said his team created a number of chances in the first half but failed to utilize them well. “We controlled everything in the first half but like it has been in the past few games, we were unlucky. In the second half our performance was bad,”Badry said. 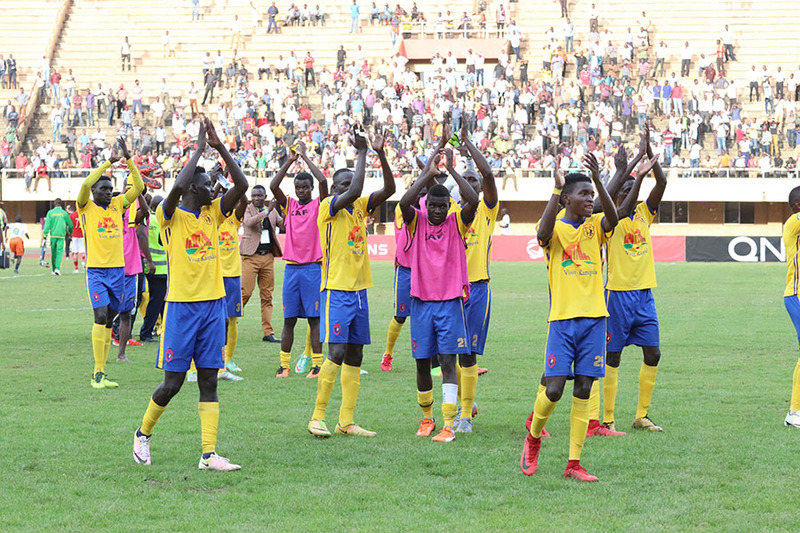 However, KCCA FC’s Mike Mutebi was full of praises for his boys for putting up a spectacular performance that saw them beat the record champions. An Al Ahly defender clears the ball off Allan Okello. “Like I said before the game, we respect them but my boys are ambitious. We displayed some of the best tactical discipline I have ever seen,”Mutebi noted. According to Mutebi, his team was doing careless schoolboy mistakes in the first half but said everything changed in the second stanza. KCCA FC defender Habib Kavuma performs a bicycle kick at Namboole. Asked to comment on goalkeeper Charles Lukwago performance, Mutebi said the shot stopper was wonder kid in between the sticks. “When you have a goalkeeper like Lukwago, everyone in front of him is confident .We were so much affected by his absence in the previous game,”Mutebi said of his goalkeeper. In another group A match played on Tuesday, Tunisian giants Esperance whipped Botswana’s Township Rollers 4-1 in Tunis. The results now leave Esperance at the top of the table with four points whereas KCCA are second, a point below the leaders but with an inferior goal difference. Al Ahly are at the bottom of the table with one point after two games in this year’s Caf champions league.